You'd love the mix of colors and patterns in this apartment. Whenever we play with colors in a certain space, it would look lively and fun but still cozy and function. We have seen many homes that used different colors in the interior to give it a fun interior which will no doubt make the owners feel happy. In today’s feature, we are going to show you a beautiful apartment that doesn’t just have a mix of colors but as well as textures and patterns. The end result is very stunning and inviting. New York-based studio, Incorporated Architecture & Design designed the Bohemian Apartment which was completed in 2010. The space is a colorful, contemporary apartment that holds surprises around every corner. 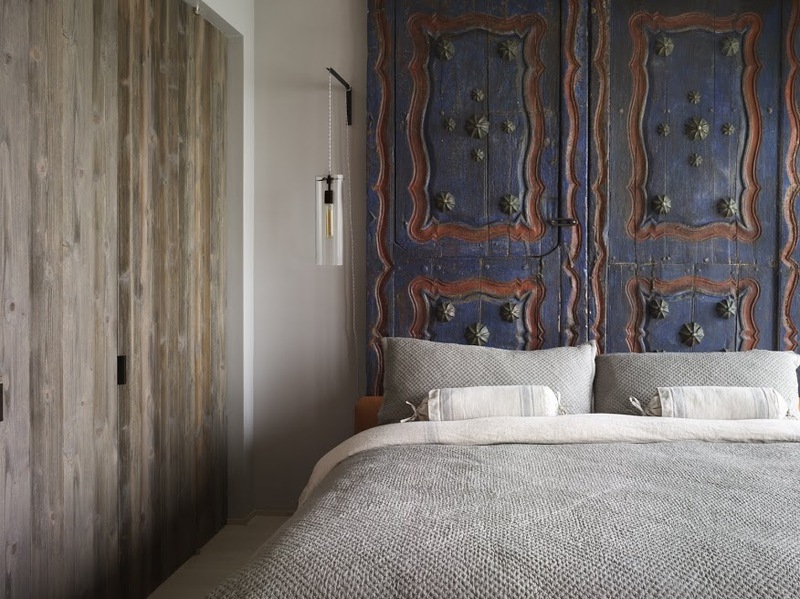 Every room has a very distinct personality ranging from bold and modern to fun and playful, from muted and earthy to funky and retro. It is like you will be in awe once everywhere you look. The apartment has uses a combination of furniture too from modern to contemporary ones. Even its lighting is also unique. Let us take a look at the apartment’s images below. Unique feature: A unique modern home that plays with colors and textures giving the apartment a playful and funky feel. This apartment has various areas in it that is being defined by the different patterns and colors in each area. It is like you are in a different home in just one space! The highlight of the living room is this sofa with various patterns in it that comes in different colors. Apart from being beautiful, it also looks comfy. The owner also allocated a working area inside the house. Isn’t it cute that it has a chalkboard wall where they can scribble and write whatever they want? If this is my house, I would be spending much of time in this corner. 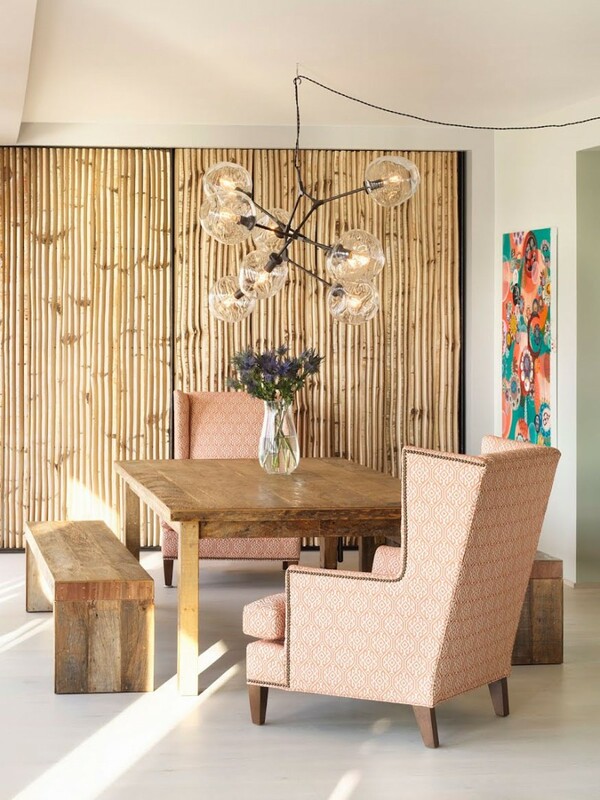 The dining area also has an accent wall of bamboo that looks interesting and defines the area from the rest of the house. It has a wooden dining table with a bench and a pretty chair. The apartment also has its own mini-library and reading area. 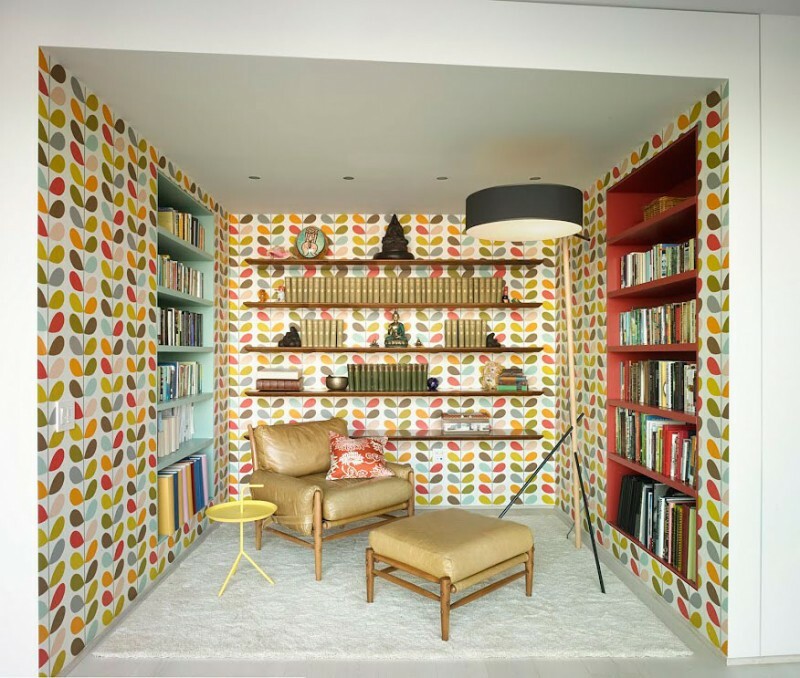 Apart from the bookshelves, it also has a wallpaper that is very attractive and beautiful. 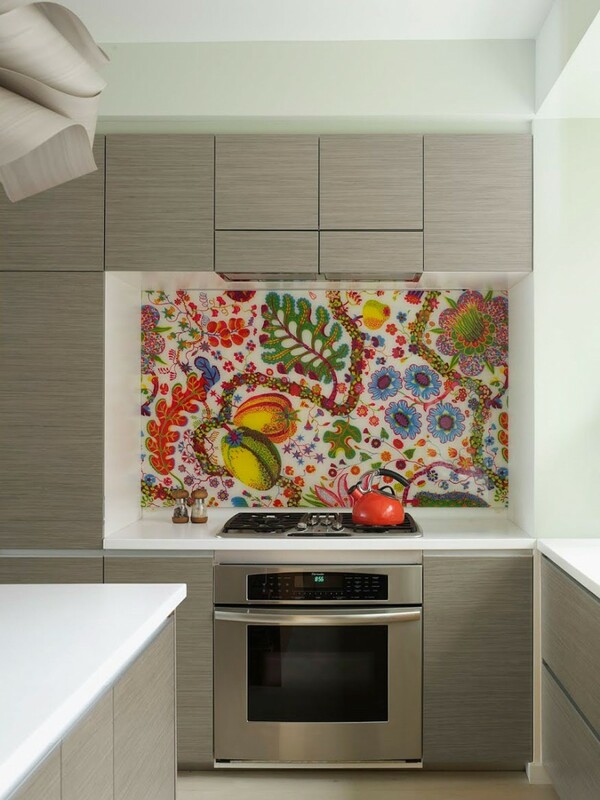 Even the kitchen has a colorful backsplash above it with a surrounding gray tile on the wall. Isn’t this a nice space to work and prepare food? It sure is! 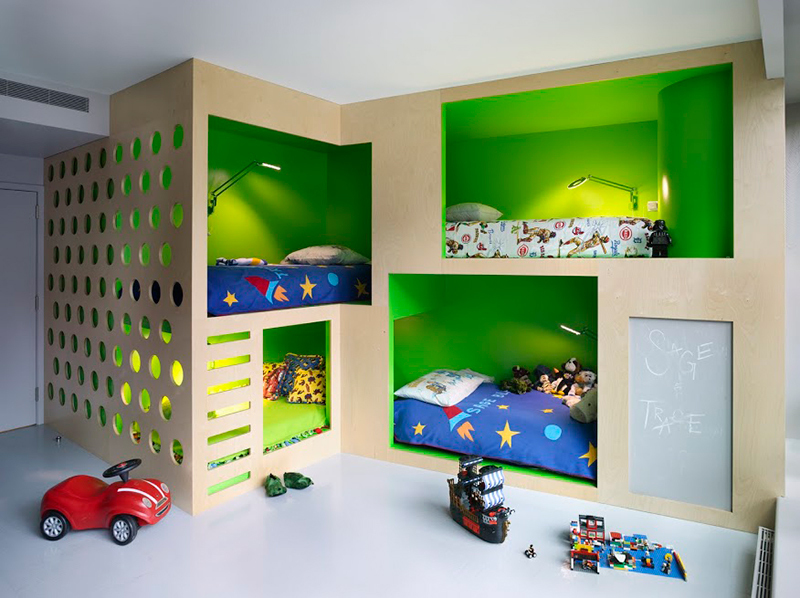 If you have four kids to use a bedroom, you can do it in this manner to give save space. It is nice that the interior of the beds are painted green and each one has a lovely light. 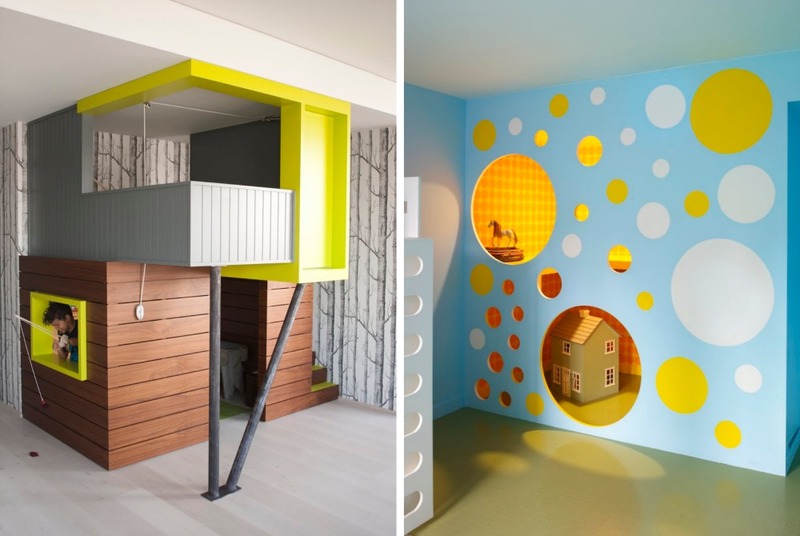 The children’s bedrooms are just as fun as the playhouses. Here you will find mini-lofts with curious cutouts in the boys’ room and an elaborate 3-dimensional carved wooden tree reaching down from the ceiling in the girls’. Seen here is a nursery that has sweet wall renderings that perfectly accent the delicate space. 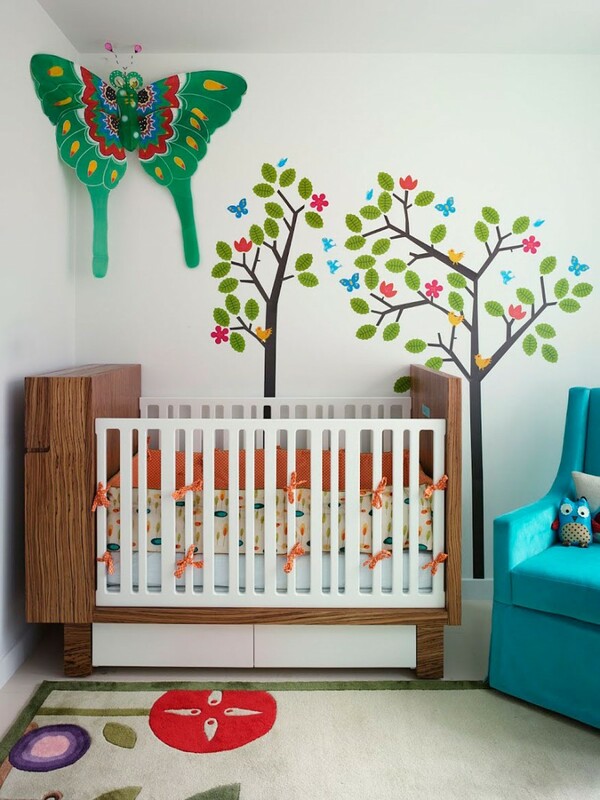 Isn’t it a nice modern approach to a playful nursery? 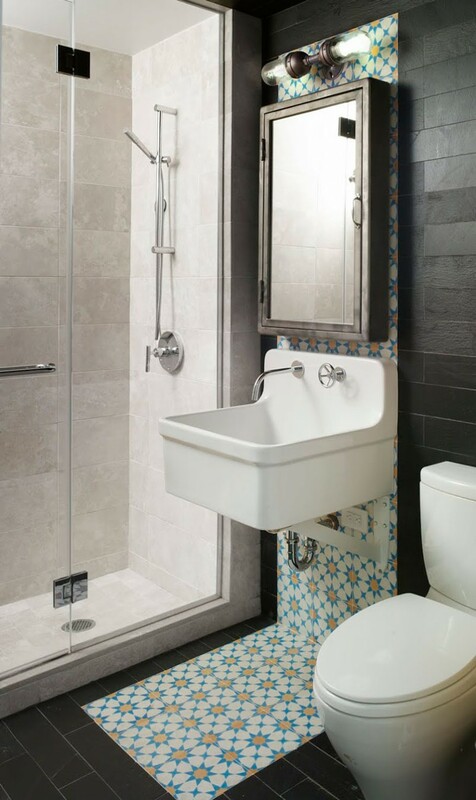 The bathroom has a patterned tile under the sink which is being given emphasis because of the black tiles around it. It also has a shower area that is enclosed in glass. 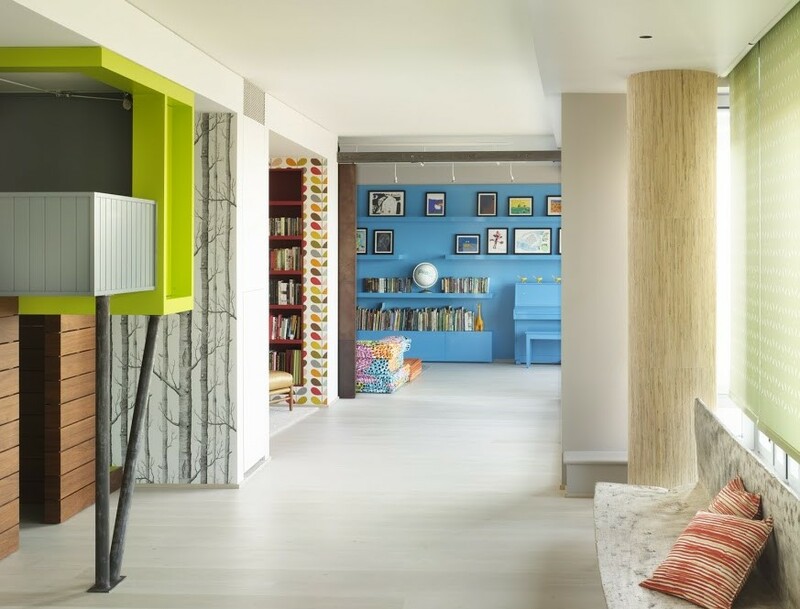 If you love colors, you will surely love this apartment by Incorporated Architecture & Design. I like it that there are surprises in every corner of it. Apparently, this apartment is a head turner as it mixes different elements of design in it. But of course, it isn’t just about aesthetics because the areas are also functional. The bedrooms, especially the ones for the kids are one of the highlight of the space because of how it was designed with a modern playful approach. I also like it that it has its own library where they can read and have a private time. How about you, what do you like about this apartment?